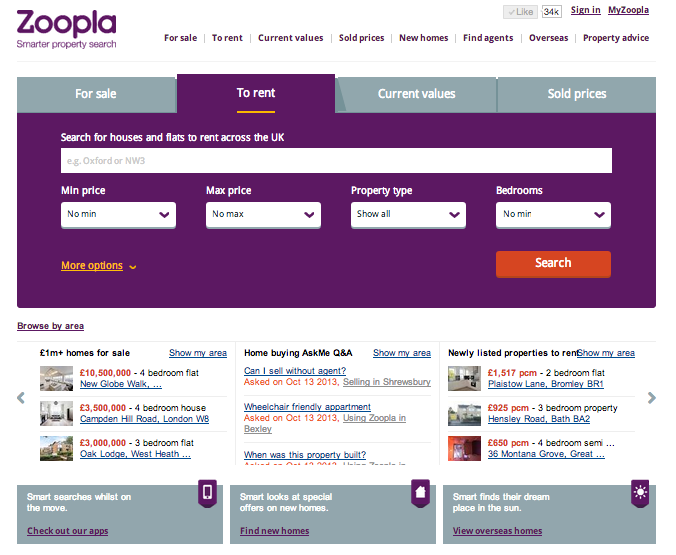 Zoopla is one of the UK’s most comprehensive property websites. Although it focuses primarily on properties for sale, it also provides information on flat-sharing and rooms to rent. With a detailed search system, high quality properties and a complimentary advice section, it should provide answers to all of your renting needs. However, with hidden costs and expensive properties, it’s not for those who are on a real tight budget. SmartMaps search allows you to pinpoint exactly where you want to live. Over 200,000 properties to rent! Zoopla works with agencies, which means that costs can be expensive! Zoopla is great for those looking for an easy browsing experience. With detailed search filters and in depth information, it should allow you to get all the information you need for your house search – just bear in mind that prices are a little steep. Check out our Long Term Accommodation in London category for all the best sites offering permanent accommodation in London.